We will make your vacation a special one, offering you all the comforts of home. Camp owner, Dale La Belle purchased Birch Point in 1981 after leaving his logging career. Dale has lived in the area all his life and enjoys fishing as well as hunting. He has guided since he was a teenager and knows the area like the back of his hand.He has turned the shabby 8-cabin resort into a 12-cabin resort building all new cabins as the years passed. Birch Point has been named as one of the top 20 resorts in Northwestern Ontario. 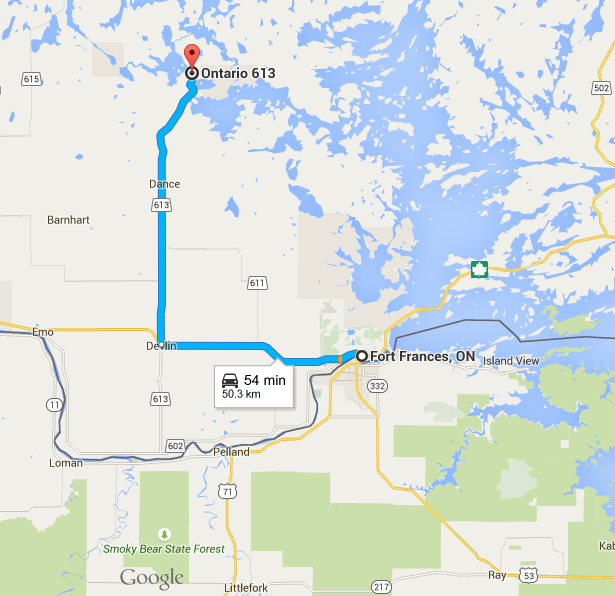 Enter Canada through International Falls-Fort Frances or Baudette-Rainy River border. Then take Highway 11-71 to Devlin and turn north onto Highway 613. This will take you directly to our camp. Each way is about a 45 minute drive or about 35-40 miles. See you when you get here!